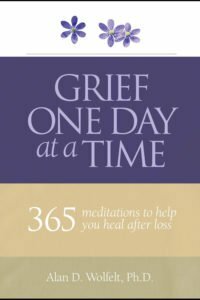 This popular hardcover book makes a wonderful gift for those who grieve, helping them gently engage in the work of mourning. 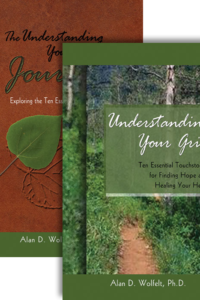 Comforting and nurturing, The Journey Through Grief doses mourners with the six needs of mourning, helping them soothe themselves at the same time it helps them heal. 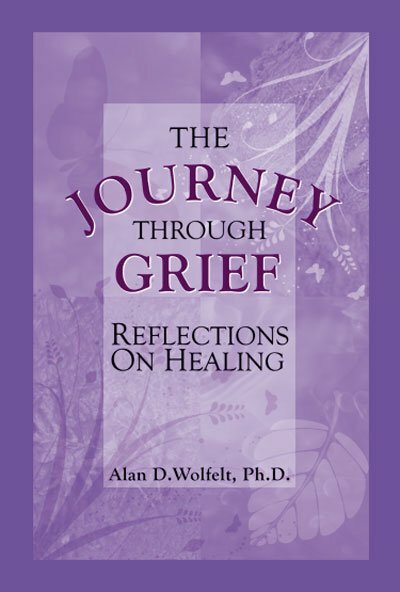 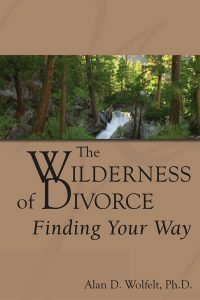 This revised, second edition of The Journey Through Grief takes Dr. Wolfelt’s popular book of reflections and adds space for guided journaling, asking readers thoughtful questions about their unique mourning needs and providing room to write responses. 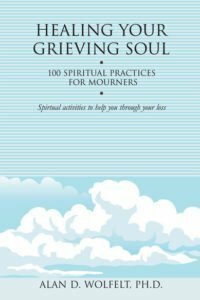 The Journey Through Grief is organized around the six needs that all mourners must yield to—indeed embrace—if they are to go on to find continued meaning in life and living. 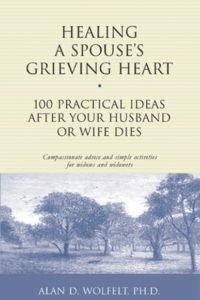 Following a short explanation of each mourning need is a series of brief, spiritual passages that, when read slowly and reflectively, help mourners work through their unique thoughts and feelings. 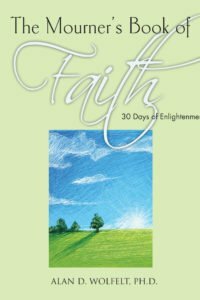 The Journey Through Grief is being used by many faith communities as part of their grief support programs.